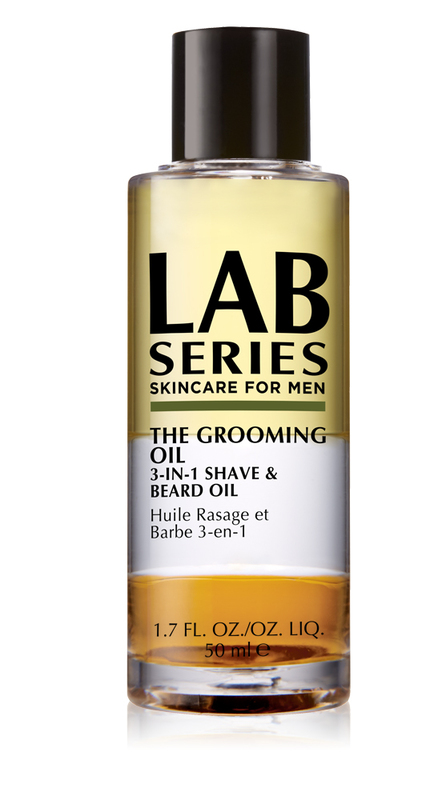 Lab Series The Grooming Oil 3-in-1 Shave & Beard Oil is a triple-blend grooming oil that provides an all-in-one solution for shave and beard care. Sea buckthorn, jojoba and sweet almond oils blend with vitamins and hydrators to tackle each grooming need. PRE-SHAVE: To help protect skin, apply a small amount to clean, damp skin before shave cream or gel. SHAVE: For a smooth, close shave, apply liberally to clean, damp skin. Use alone for transparent or precision shaving. BEARD: Massage a few drops into beard and groom as usual. Helps condition hair and skin to minimise beard-related discomfort.